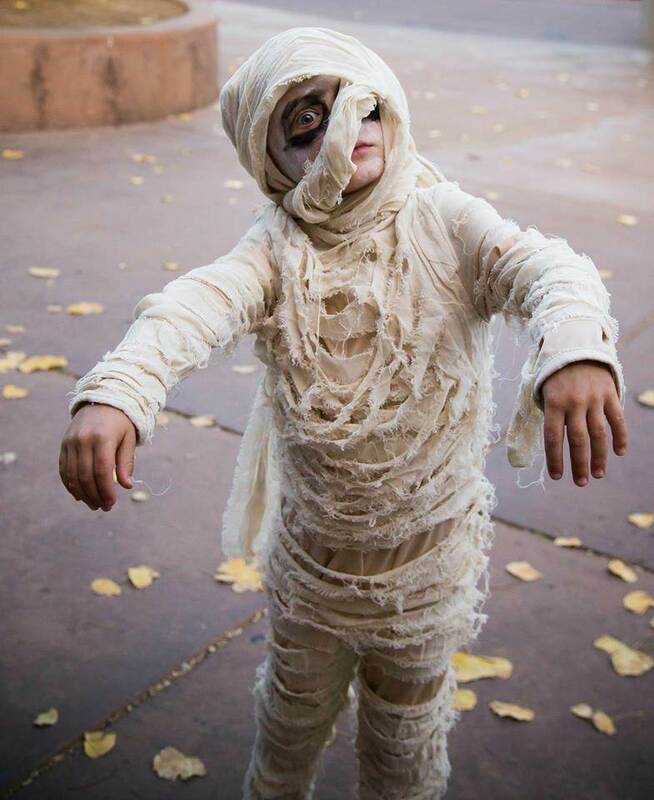 Of all the undead beings that wander the earth, don't mummies have it the best? 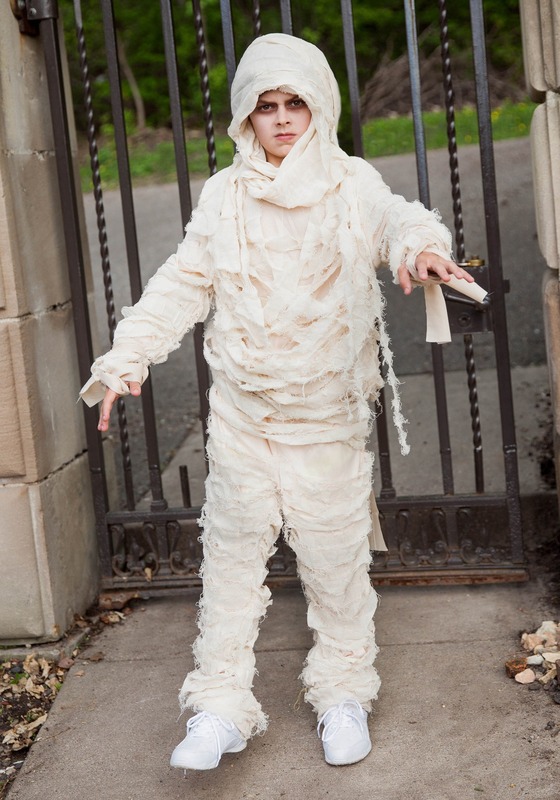 But your kid doesn't have to take our word for it, when they can just get wrapped up in our exclusive Mummy Costume and try out the mummy-life for themselves! Although at first glance mummies may seem just like fancy zombie royalty, deep down they are actually very different. Speaking of "deep down," the biggest difference is that zombies are full of rotting guts, and mummies have had their bits and pieces taken out as part of the mummification process! 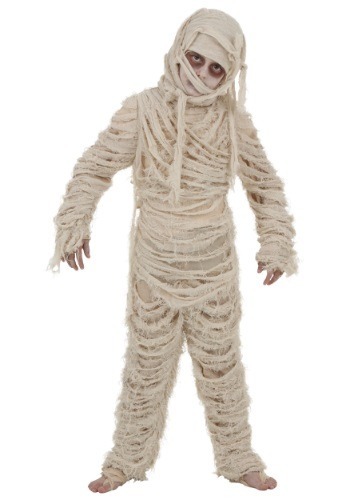 Mummies are also well known for wearing their signature bandages as they stumble around the world of the living, while regular old zombies are often seen just wearing whatever they died in. And on the subject of how they died, zombies are usually brought back by some kind of infection, while mummies tend to have curses to thank for their condition. 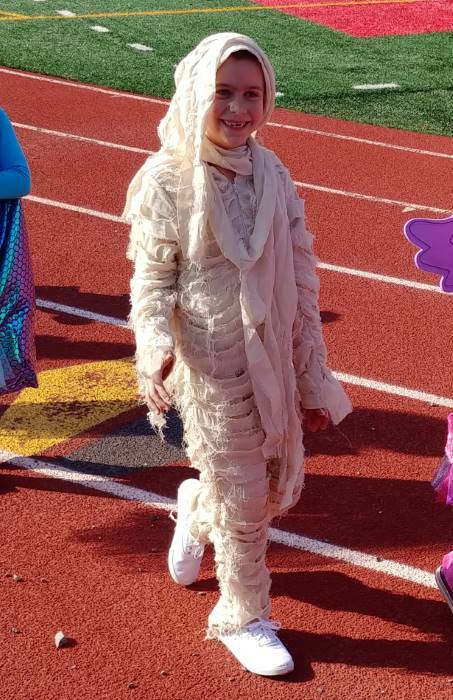 Well, we'd love to keep discussing the academic differences between mummies and zombies (and later on, we totally will...) but we'd better tell you about how great this scary costume is! We've designed it to be easy to put on, with the tattered and worn looking bandages attached to a zip-up jumpsuit, so you don't have to spend a long time wrapping your little mummy up. There's even extra bandages that you can cut up and use to customize their look. 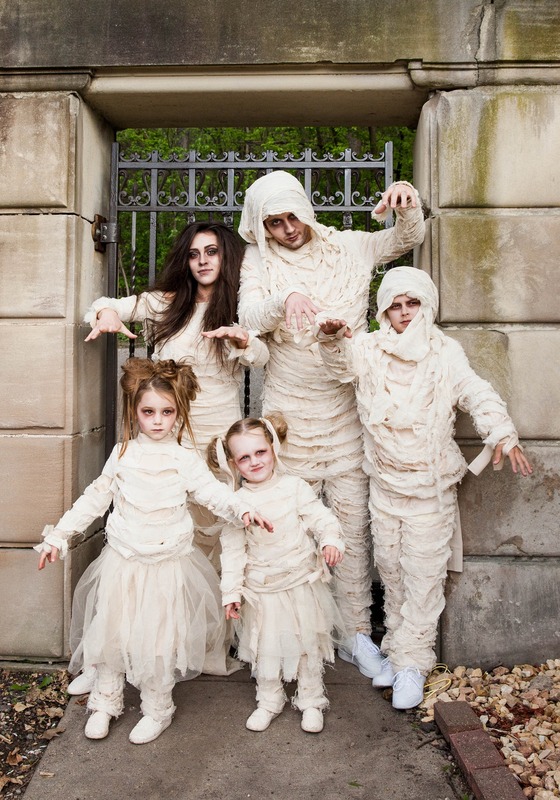 It's a spooky style your little one can keep shuffling back to year after year! Once this item was in-stock, we purchased it for my son. The costume exceeded my expectations and looked great. It is high-quality and got a lot of compliments. My son is 6-years-old and around 45 lbs., but on the shorter side compared to his peers. The SMALL fit him, but barely. It is On the tighter side and I wish there were a size chart. He could have used a medium. 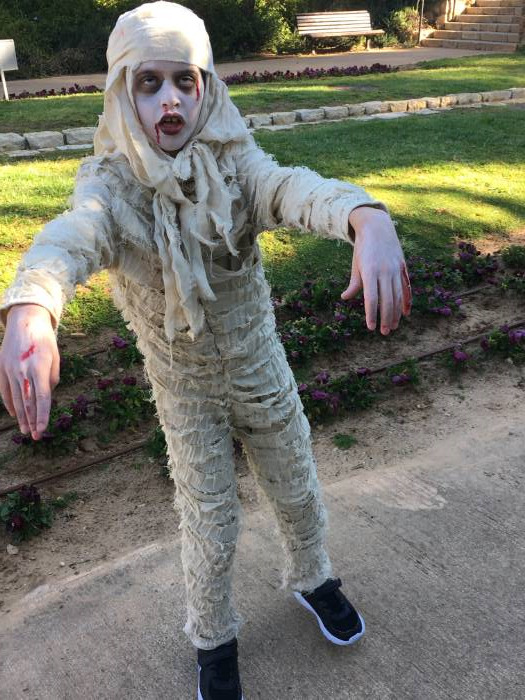 Everyone complimented this mummy costume. Fit perfectly from my guesses. We used this once and received many compliments! I ordered it for my son who is 11 and got the size 12-14 (he is not that big) and I could have ordered a size up but other than that it is a great costume. You were the only place to offer this costume this Halloween. It is a very realistic looking costume. My grandson loves it.